MELBOURNE, Fla. – August 24, 2016 – Anuva Automation, the Florida-based manufacturer of TiO® (Turn it On) brand of common-sense home automation products, announces their attendance at CEDIA 2016 with an exclusive KEF and StealthStream giveaway. With TiO’s uncommonly simple to use home automation products, users can control their audio, lighting, security, shades and more, with iOS or Android phones or tablets. TiO’s updated StealthStream, for stand-alone audio applications, pairs perfectly with KEF’s robust, high-quality loudspeakers – making it a unified duo. In partnership with KEF, TiO will give away one pair of KEF Q100 Bookshelf Speakers with a StealthStream (SS-1) each day at CEDIA 2016. The StealthStream, TiO’s versatile and powerful audio zone player, provides users with easy access to many popular digital music services and Bluetooth. Giveaway winners will be able to stream music from their StealthStream into their KEF Q100 Bookshelf Speaker’s, creating an exceptionally accurate and intricate sound image that is dispersed evenly throughout the room. 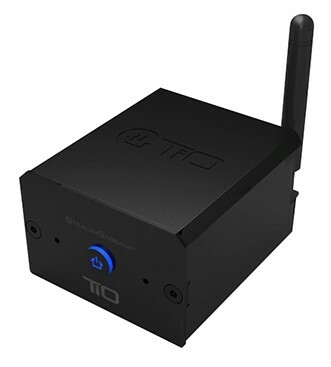 To win the KEF Q100 and StealthStream package, CEDIA attendees can simply stop by the TiO booth and enter. A name will be drawn at the conclusion of each show day. Winners do not need to be present to win. Additionally, TiO will present two CEDIA manufacturer product trainings, one on Thursday, September 15th at 3:30 p.m. and the second on Saturday, September 17th at 12:30 p.m. The 90-minute class, led by John Anderson, product manager, and Neil Grosse, technical support manager, will encompass the latest innovation and product releases on TiO’s common sense home automation. TiO invites CEDIA attendees to participate in a MPT to learn more about TiO’s unique approach to robust automation and control systems. To register, visit CEDIA’s registration portal.